Join the Sunny Craftin’ Crew TODAY… Less than 24 hours for the $25.00 Special! Join Stampin' Up! for $25.00! Special Offer ends MONDAY, October 21st at 11:50 PM Mountain Time! LESS than 24 Hours Remain to JOIN my Sunny Craftin' Crew with the Stampin' Up! 25th Anniversary Special! I would LOVE to have you on my crew as a member of the Sunny Craftin' Crew. We'll have a ton of fun crafting together whether it be long distance or next door! Why not join my TEAM today? No Obligations, RISK FREE and LOTS of FUN! Until October 21, 2013, you can join Stampin' Up! for ONLY $25.00 (well, actually $25.00 to $26.95!). If you have ever thought that MAYBE you would be interested then this is the time to join my Sunny Craftin' Crew! I have a nationwide team and am looking to add more team members regardless of where you live. I've set several goals this year and would REALLY love to have you join my team to help me reach my recruiting goals as well as my business goals. As your upline, I will do everything I can to support YOUR goals as they relate to Stampin' Up! whether you just want to be a hobbyist (sign up for just the 20% discount) or if you want to build a Stampin' Up! Business. I belong to several AWESOME teams and different levels that provides ME with the business resources that I need and that I can pass on to you. WHY not JOIN STAMPIN' UP TODAY! There really is NO risk to YOU other than buying between $25.00 to $26.95 in Stampin' Up! product. You have from the day you sign up until March 31, 2014 to meet the $300.00 Quarterly Minimum which can easily be met with JUST 1 party. Join me, Pam Staples, on the Sunny Craftin' Crew. 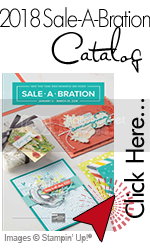 When you click the link, make certain you are on my Stampin' Up! demo website with Pam Staples in the upper righthand corner. CLICK HERE TO JOIN STAMPIN' UP! TODAY!